GREENVILLE, S.C. — Marco Rubio just wants to play some EDM. But he can’t turn it up for his college-aged supporters, he told a crowd at Furman University on Saturday, because he received a cease-and-desist letter from some “Swedish DJs." “Electronic dance music — I’m a fan of. We just can't play it cause none of the DJ guys — they all send us letters, ‘Don’t play my music. I’m Swedish. 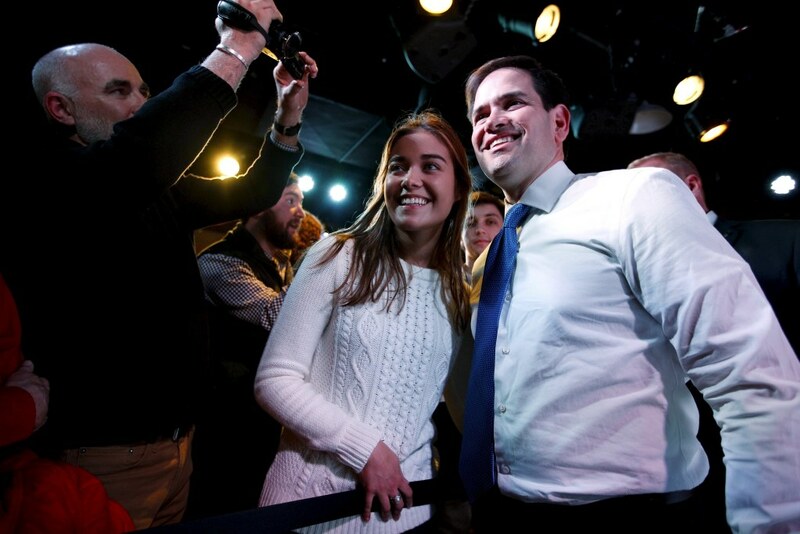 I don’t care about American politics,’” Rubio joked, causing the crowd to erupt in laughter. His spokesman clarified on Twitter that the story was indeed true, and the Swedish producer Axwell asked the campaign to stop playing his song, “Something New,” at events. At @FurmanU event, @marcorubio complains he can't play EDM at rallies. True fact: @Axwell asked our campaign to stop playing "Something New"
It was one of many funny moments from the Florida senator’s stop at Furman, where he turned up the charm and tailored his typical campaign themes to the crowd as he courted young voters in the early primary state. He told them, "I really want to talk to the younger Americans that are with us today,” and asked if they had finals this week in his opening remarks. The Furman stop was his third university visit in as many days after speaking at Iowa State University and the University of Iowa on Thursday. At those events, Rubio gave his standard stump speech, complete with extended remarks on small business regulations and Medicare and Social Security solvency — issues that seemed to fall flat with the younger crowds. On Saturday, Rubio’s Furman event offered a stark contrast to the more reserved candidate that appeared on the stump earlier this week. He addressed nearly 300 people outside on a sunny, unseasonably warm December day, and stayed after to shake a long line of hands and offer up selfies to admiring students. And throughout his speech, he dropped sometimes awkward but endearing — and always unplanned — one-liners, a departure from some of the more practiced jokes about college football he’s known to deploy on the trail. “That’s maybe not a joke actually,” he added with a smile. Rubio also went on an extended riff on wacky health insurance ads, asking the crowd, "There's that one with Peter Pan, have you seen that? It's creepy." He largely avoided making news, answering questions on Social Security and healthcare with a standard run-down of his policy positions. 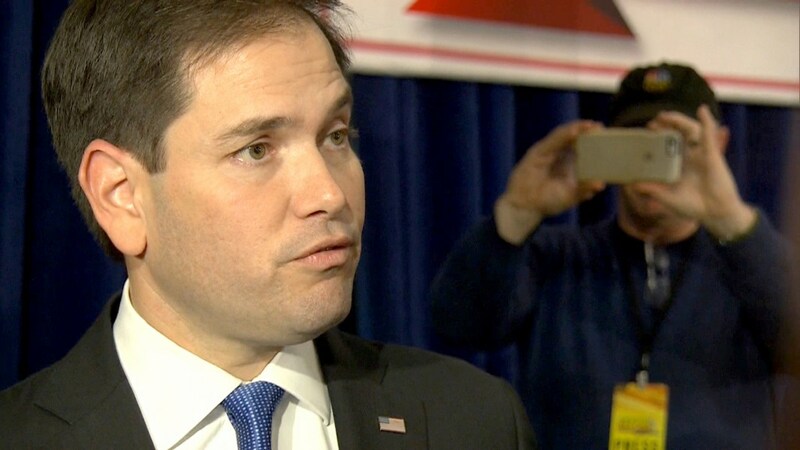 Rubio did, however, dismiss GOP front-runner Donald Trump in a gaggle with press after the event, calling his proposal to ban all Muslims from immigrating to the U.S. "offensive and inappropriate and frankly counterproductive,” and speculating "he did it largely to get back in the news." But during his speech, the senator took on a different tone when he turned to more serious subjects as well — sounding at times more like a general election candidate than one giving his umpteenth early-state stump speech months out from Election Day. And in perhaps a nod to the divisive rhetoric that’s taken over the Republican primary in recent weeks — but also a common critique from the GOP of President Barack Obama — Rubio promised that if elected president, “I will never pit you against other Americans.